The markets fell sharply on Thursday by 1.6 per cent for the benchmarks Sensex and Nifty 50 and more for the sect oral indices as it don’t like uncertainty that this event-loaded month is just entering with the Organisation of the Petroleum Exporting Countries (Opec) meet (December 6-7) followed by five state assembly elections results (December 11) and the US Federal Reserve meeting (December 18-19). 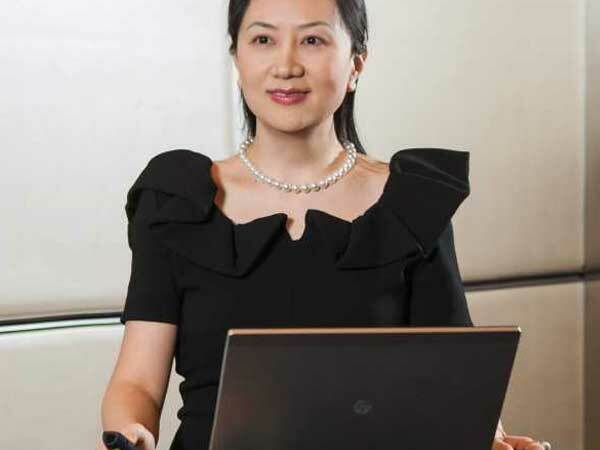 Along with the expected oil production cut and outcome of the assembly elections bothering domestic investors, the immediate trigger for the sharp fall came from the US markets as Dow Jones and S&P 500 Futures declined sharply on arrest of Huawei CFO Wanzhou Meng by Canadian authorities. Meng happens to be the daughter of Huawei founder Ren Zhengfei. The Dow Futures, which were cruising with gains of 100 points on Wednesday when the European markets downed shutter, plummeted more than 500 points after the news of Huawei CFO’s arrest broke out, brokers said. This led to a ripple effect on Asian markets and the Indian markets too came under selling pressure. Latest development has reversed the positive sentiment created in the market following the decision of the leaders of China and the US to temporarily suspend trade hostilities. Investors are worried that Huawei CFO’s arrest may derail the US-China trade talks. Such fast-paced changes are bringing more uncertainty for market participants and traders, bourses saw broad-based selling led by financials and IT (information technology) heavyweights. As financials & IT stocks enjoy huge weightage in the Sensex and the Nifty-50, the fall was sharper for the benchmarks and as these two sectors fell, other Sensex constituents also seem to have followed the suit with only badly beaten Sun Pharma closing in the green. The financials’ fall was led by HDFC (1.47 per cent), SBI (1.59 per cent), ICICI Bank (1.01 per cent), Kotak Mahindra Bank (2.46 per cent), IndusInd Bank (2.10 per cent) and Yes Bank (3.08 per cent). The IT stocks’ tumble was led by TCS (0.72 per cent), Infosys (1.94 per cent) and Wipro (1.24 per cent). As the domestic equity market is battling three key risks in form of global trade war between the US and China, crude oil price volatility and the outcome of state assembly election, any of the three turning negative is bad for the market right now. Earlier Kotak Securities in a report said, “The temporary suspension of trade hostilities between China and the US may remove one of the three potential short-term risks for the Indian market,” but it seems undone right now. “We will get more clarity on the level of oil prices over the next few weeks based on the outcome of the December 6 Opec meeting and chances of the BJP forming the next national government based on the outcome of ongoing state elections, results of which will be available on December 11,” Kotak Securities said. Equity market analysts are expecting heightened volatility during the next six months, which has led to caution among the investors and some profit taking. Kamlesh Rao, managing director & CEO, Kotak Securities, pointed at key factors like global trade war, the US Fed rates and Brexit outcomes to set the sentiment of the global economy in 2019. In terms of the Indian economy, Rao indicated that the next six months might prove to be challenging due to forthcoming general elections – thereby leading to some volatility in the markets. Positive outcome of election results in form of a single party winning majority vote will be good for the markets, according to analysts. “The Nifty can witness a potential upside of 16-20 per cent to get to a range of 12,500-13,000 points if election outcome is positive (i.e. a single political party winning majority votes) and earnings growth momentum is maintained,” Rao said. Brent oil prices sank under $60 on Thursday after Saudi Arabia made remarks that were deemed overly cautious by analysts ahead of Opec’s latest output decision. London’s Brent North Sea oil sank $2.94 to $58.62 per barrel compared with Wednesday’s close, after Saudi Arabia’s oil minister Khalid al-Falih said Opec was seeking a “sufficient” cut in output to prop up prices. As the Indian equity market is highly sensitive to crude oil price movement, a reversal after the fall in the equity market for last three days due to sharp rise in crude price above $60 per barrel may get reversed on Friday, if Opec decisions are not too far away from what market is expecting, market may recover over next few sessions as the fall in crude oil price will get priced in from Friday onwards. The US Federal Reserve’s December 18-19 meeting is likely to be another risk for the market. A 25bps Fed hike is expected. “On the global front, the US Fed rate is expected to rise from median of 2.12 per cent to 3.12 per cent by end of December 2019. This should lead to rise in US 10-year bond yields. Average/median spread of the Indian 10-year bond and the US 10-year bond yield is 500 bps. If the US 10-year yield goes up in 2019 it will put pressure on the Indian 10-year yield. This will be negative for equity valuations,” Kamlesh Rao of Kotak Securities said.